Boost staff morale, increase customer satisfaction, and improve sales with the Partner Tech MF-2351. 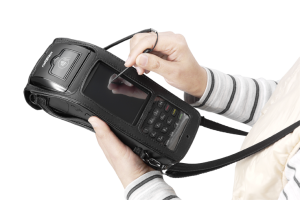 Its fully portable POS functionality offers staff complete mobility and the ability to process payments, print receipts, capture data, and more, all from a single device that fits in the palm of your hand. 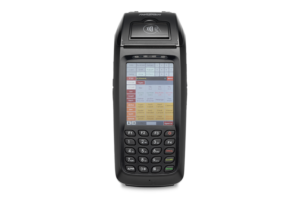 The MF-2351 All-in-One Mobile Terminal is ideal for retail, hospitality, transportation/logistics, and other environments that need portable POS functionality. Count on the MF-2351 for line busting and on-the-spot orders and payment to help you deliver next-level customer service and chalk up a solid ROI. A payment transaction is often the last impression left on the consumer making it critical that merchants get it right. 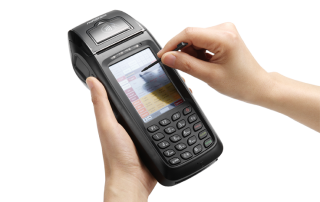 Transactions need to be fast, simple, and frustration-free. 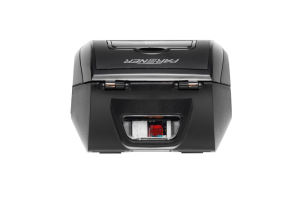 The MF-2351 can handle all types of payment cards, with its three-track, bidirectional magnetic stripe reader (MSR) and chip card reader. An integrated 2-inch thermal printer produces quality receipts on the spot. 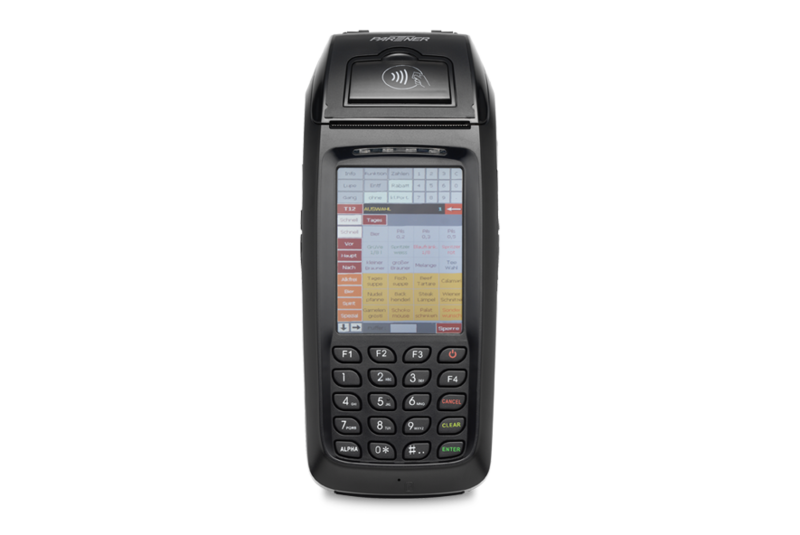 The MF-2351 is PCI 3.0, EMV 2000 Level 1 and 2 certified, and meets CE, FCC, CCC, BSMI, and VCCI standards. 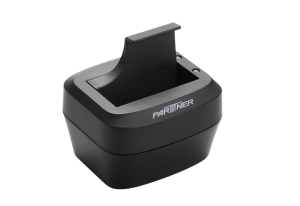 A variety of connectivity options allows your staff to stay connected and to take POS functionality anywhere. 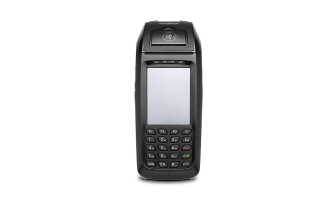 The MF-2351 has WLAN 802.11b/g and BT communications, and USB and RS-232 interfaces. 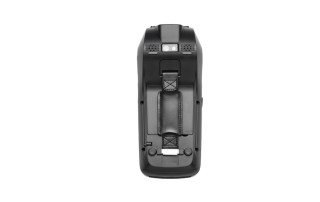 Vehicle and shipment asset tracking becomes effortless as it also has options for GPS and Telecom standards (GPRS / WCDMA / CDMA2000) ensuring you know where your field workers and shipments are at all times. 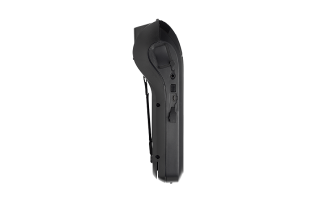 There is a DC jack and an earphone/microphone jack as well as an integrated microphone and speaker to enable voice communications. 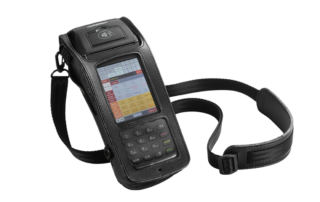 The MF-2351’s functions extend beyond payment. With the addition of data collection peripherals such as 1D or 2D barcode scanner; RFID reader; and 3.0 megapixel camera, this handheld terminal is perfect for asset tracking and streamlining your fulfillment and supply chain management processes. Shave minutes from the time it takes to process transactions or help customers find the information they need. 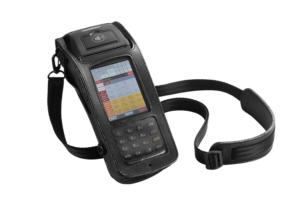 The MF-2351 features an alphanumeric keypad and a 3.5” TFT LCD touchscreen to make it easy for your staff to use. 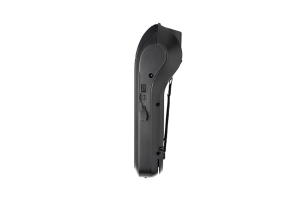 An included stylus adds precision to its operation minimizing errors, and a hand strap makes it easy to use and carry. 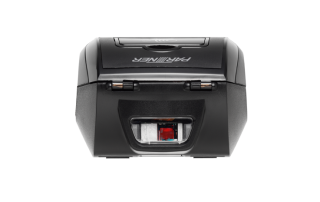 The MF-2351 is packed with the power and speed you need to run your most demanding applications quickly and smoothly. Win CE 6.0 is the operating system for the MF-2351, and it has a 1 GHz, TI OMAP 3715 system-on-chip with a Cortex-A8 processor core for fast, efficient transactions and data processing. The MF-2351 is just 3.4 x 8.2 x 1.5 inches in size, and a model with all options weighs only 1.1 pounds (including the battery). This device features hot-swappable, rechargeable polymer batteries (7.4V, 2000mAh main; 3.7V, 100mAh backup) to help you minimize downtime from battery failure. 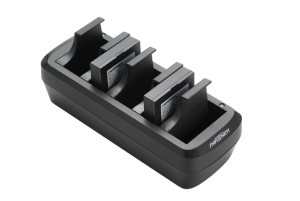 Single or multi battery charging cradles are available.